quarrygirl.com » Blog Archive » rahel vegan: twice the space, twice as great! rahel vegan: twice the space, twice as great! since the first time we reviewed the all you can eat brunch at rahel ethiopian vegan cuisine, a lot has changed. 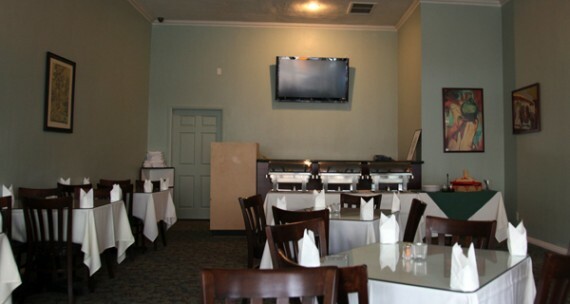 the restaurant has had expanded to take over the space next door, making for a much brighter and more comfortable dining experience, and has introduced a buffet table to their lunch special (rather than a server bringing you plates of food as you ask for them). overall, these improvements have transformed lunch at rahel from decent to downright exceptional. the way the all you can eat lunch works now is, you walk in and tell the server you’d like the buffet special. she then brings you your choice of soup or salad as an appetizer. both are small, but very tasty. after your warm up course, it’s time to dive in to the main event: plate after plate of hot ethiopian stew and spongy bread. grab a plate and get your fill from the seven vegetable and lentil dishes, the two types of rice, and basket full of injera. also, be sure to get a huge helping of the bright green sauce. i dunno what it is exactly, but it’s incredible. 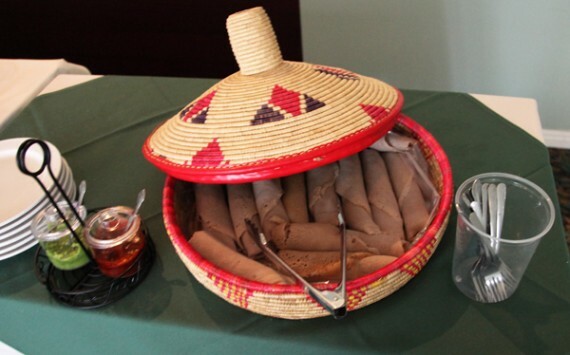 typically, ethiopian cuisine consists of various stews or wots served atop of and with a side of injera, a porous stretchy bread. you are supposed to use your hands to neatly scoop up the stew with the bread and stick the whole thing in your gob. presented with an all you can eat option, though, it’s really easy to go overboard and load your plate up with way too much stew. luckily, rahel’s provides forks for this very reason. 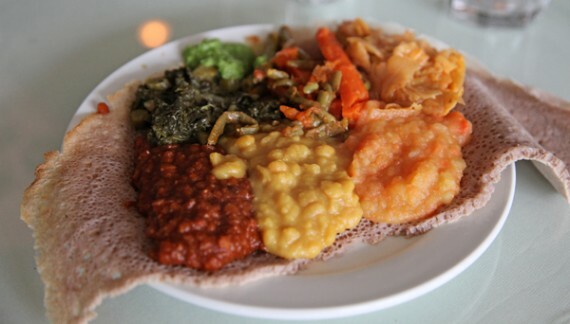 when i visit the buffet table, i like to spread a piece of injera out on my plate and then stack it up with the various vegetable dishes. as you can see in the picture at the top of the post, i get a bit of everything. we’ve got some red lentils, yellow lentils, potato stew, kale, carrots and green beans, cabbage, and more. i have no idea the proper name for all this stuff, but it is all mind-blowingly flavorful. 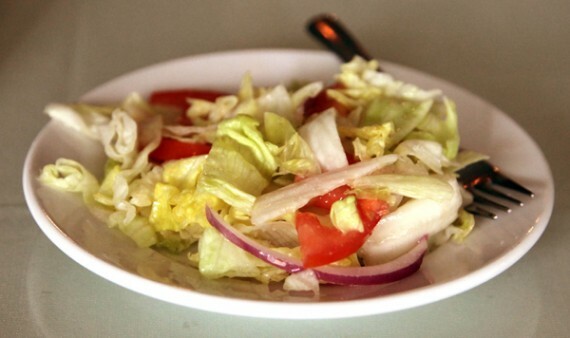 whatever you do, be sure to go to rahel’s all you can eat lunch with a completely empty stomach…because the food is so good, you can’t leave without at least a couple trips to the buffet table. view from rahel's new section. 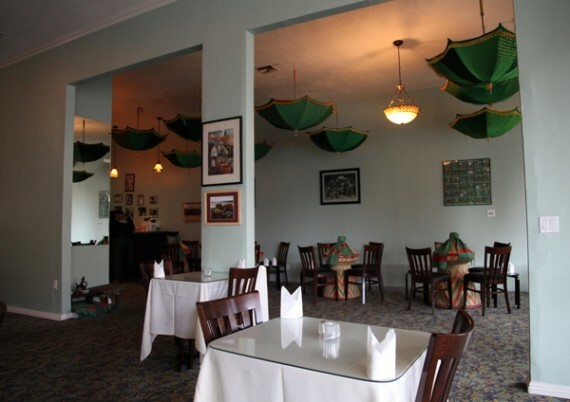 the restaurant used to be only the room with the umbrellas on the ceiling. seriously, i can’t think of a better way to spend a rainy afternoon than relaxing with plate after plate of warm ethiopian cuisine in such a light and spacious environment. 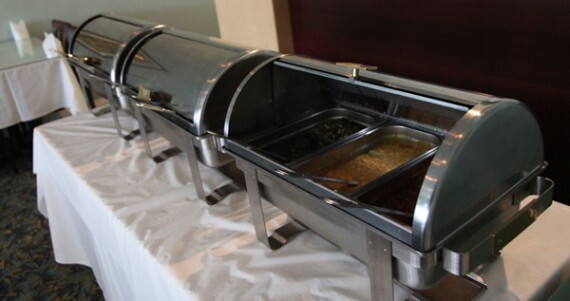 the all you can eat buffet takes place everyday from 11am-3pm, and costs $8.99 per person. while that’s a damn good deal any way you look at it, it has to be noted that nyala directly across the street has an all you can eat vegan buffet for just $6.99 (over 20% cheaper!). however, considering rahel’s new buffet is so plentiful and tasty, and the atmosphere is so pleasant…i’d rather shell out an extra 2 bucks and support the only vegan business on the block. 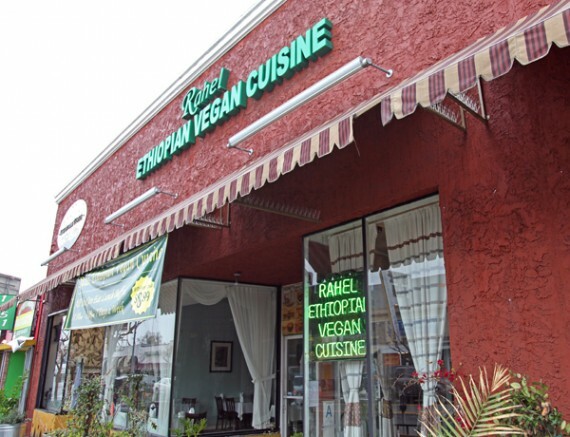 so be sure to hit up the new rahel vegan ethiopian cuisine as soon as you can. all you can eat vegan food, under $9, 7 days a week. hell yes. Wow, color me jealous! There’s nothing even close to that awesome where I live. Ah, my weekly conflict: Nyala or Rahel. I tend to prefer Nyala…I like their bread a bit better, and I love their cabbage/carrot/potato & greens dishes. That being said, I really like Rahel too. It’s a little more spicy & fragrant – the food is different enough from Nyala that it warrants visiting both places, IMO. 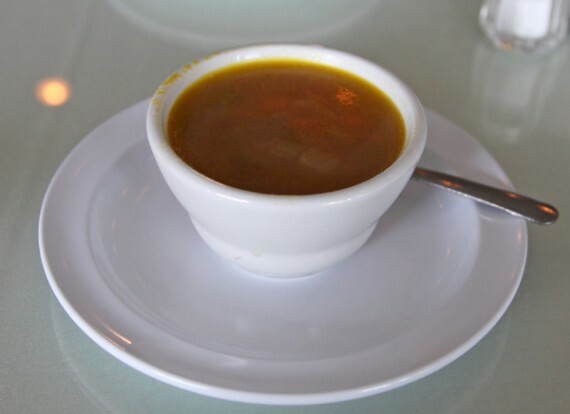 Everybody knows that Nyala is the best Ethiopian restaurant in that area. It’s the oldest, and has the best atmosphere and food selection. However, I’m going to 100% support Rahel going forward as the food is just as good, there are more vegan choices and it’s a VEGAN business, ferchrissake! All you can eat? My pea-brain is having a hard time comprehending this, since I usually shell out big bucks for one plateful of an Ethiopian feast. Tell me about it. I am always incapacitated for 24 hours after a trip to either Rahel or Nyala. Their prepared meals sold at Whole Foods, Full of Life, and Follow Your Heart (amongst other places I’m sure) are also really good. The yellow lentil injera wrap is my favorite. While I do occasionally buy Rahel’s prepared meals at Whole Foods, I always feel kind of dumb doing it. $6 for a small bit of Ethiopian food when a few bucks more gets you a buffet!!! Oh well, if I need an Ethiopian fix and I’m not near Fairfax, it’s nice to have the option. did you really say the “F” word? forks at an ethiopian restaurant? i haven’t been here since they updated…thanks for the tip! Yum yum. There’s a tiny Ethiopian veggie stall at Greenwich Market in London UK sometimes that does a massive serving of different foods for £3-50. I love their food, and especially the coffee. And the chilli relishes.. well.. YES! Defo coming to LA to eat eat eat! i STILL have yet to try ethiopian food. what a joke. What? seriously, no forks allowed. I’m digging the green umbrellas. All you can eat is a dangerous thing though. Don’t half step and give your money to the non-vegan business across the street. Vote with your wallet. Beware INJERA GUT. Otherwise, hot damn for all you can eat vegan Ethiopian food.